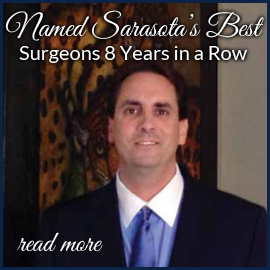 Surgeon Sarasota FL | Three Convenient Locations! 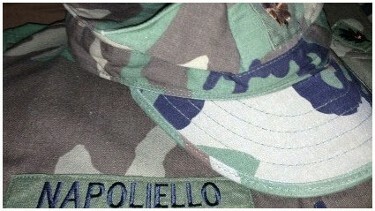 Dr. Napoliello's originally trained when Laparoscopic General Surgery was evolving in the early 1990's. His entire surgical career has had a foundation in Minimally Invasive surgery. His training led him to the Mayo Clinic's first Minimally Invasive Fellowship, based at that time in Jacksonville, Florida. This is what brought him to the state from the North East. 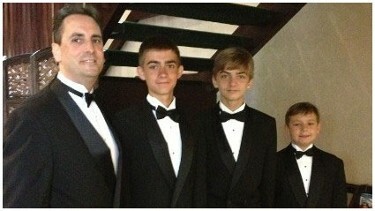 He has established himself as a leader in the County and State with most Minimally Invasive techniques. Patients often panic when they are told that they need to have a surgery. 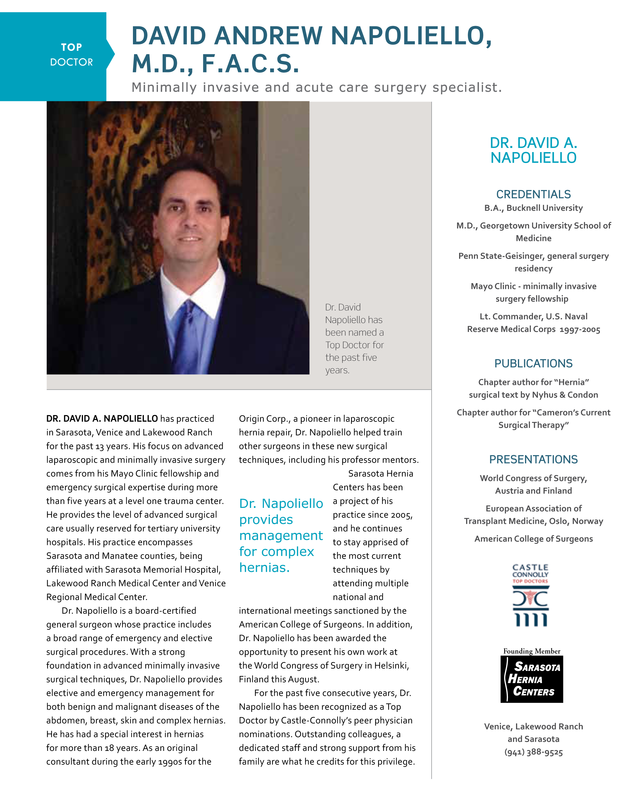 The office of David Napoliello, MD is the ideal place for patients who are worried about having a traditional surgery in Sarasota. Minimally invasive surgery is handled via small incisions instead of one large incision. Small surgical instruments, tubes, and video cameras are then used to perform the surgery. Minimally invasive surgical procedures in Sarasota can result in faster, safer operations with smaller scars and less blood loss than those that undergo a traditional form of surgery. Any scarring left by the surgery is much smaller and less visible than the markings left by a traditional procedure done through a large incision. This surgery is often referred to as a "band aid surgery" because the incisions tend to be so minor. The recovery time for a so-called keyhole surgery in Sarasota is typically much shorter than a surgery that requires a large incision. Whether you are a good candidate for this type of surgery can vary based on the nature of your illness. The experienced office staff at any of our locations can help you understand what makes a patient a good candidate for this surgery. Gastrointestinal problems can be solved easily and quickly through minimally invasive surgery. Contact our office to find out more.